Richie Hawtin has been asked to soundtrack the opening ceremony of the XXth Olympic Winter Games in Torino, Italy. The uber-boffin collaborated with renowned Italian choreographer Enzo Cosimi, and has created a new composition entitled 9:20, to accompany dancers, acrobats, and performers. Hawtin and Cosimi worked together in the techno DJ’s Berlin studio to create an ‘evolving soundscape of sounds and effects to accompany the different movements of Cosimi’s piece’. Hawtin said: “Enzo and I are very much interested in pushing boundaries, both as artists and for our audiences. “Working together for the Opening Ceremonies of the Winter Games delivers the creative endeavor to not only entertain a huge audience, but to also introduce them to sights and sounds that they may have never experienced before." The theme of the opening ceremony is rhythm, passion, and speed, something that Hawtin pushes in his conceptual DJ sets. Juan Atkins has been nominated for a Grammy ! 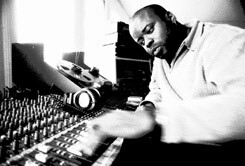 The top techno producer Juan Atkins has been nominated for a Grammy as a writer in part for the song "Lose Control" by Missy Elliot (you can see the video here : http://www.missy-elliott.com/). The track is built around a sample from Juan Atkins’ classic 1982 electro track "Clear". Recorded by Atkins and Rick Davis as Cybotron, this track is often considered the first proto-techno track. More about Juan and Detroit techno here, here and here.